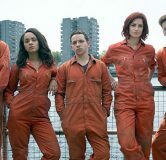 Misfits follows five outsiders on community service who get struck by a flash storm and lumbered with special powers. 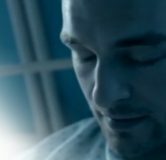 Hard as nails Kelly (Lauren Socha) can suddenly hear people’s thoughts, shamed sporting hero Curtis (Nathan Stewart Jarrett) discovers he has the ability to turn back time when he regrets something, and party girl Alisha (Antonia Thomas) can send people into a sexual frenzy when they touch her skin. Even painfully shy Simon (Iwan Rheon) can make himself invisible when he feels he’s being ignored, which makes it all the more hard to swallow for smart aleck Nathan (Robert Sheehan), who seems to have been unaffected, much to his dismay. Unlike their more conventional counterparts, our misfits don’t swap their ankle tags and mobile phones for capes and tights. 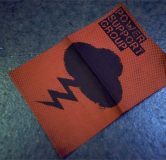 Instead, they discover what a pain in the arse life can be when you’re stuck with a super power you didn’t want. The verdict on the final ever episode. The verdict on the 5th & 6th episode of the final series. The verdict on the 4th episode of the fifth and final series. 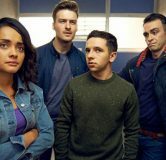 The verdict on the third episode of the fifth and final series. The verdict on the second episode of the fifth and final series. Episode guide for the fifth and final series. The verdict on the opening episode of the final series. 2 clips from the opening episode of the final series. 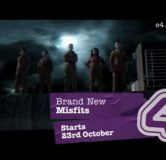 Final ever runs begins Wednesday 23rd October at 10pm on E4.